Neutering your male pet at 6 months or after will prevent them from developing testicular cancer. It will also reduce the risk of perianal tumours. 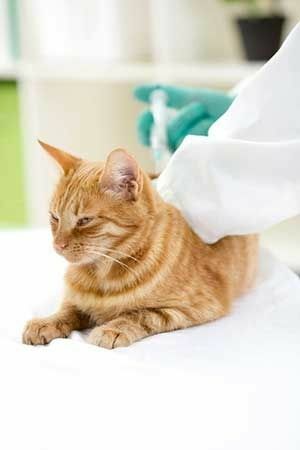 Spaying your female cat or dog before their first heat will prevent uterine infections and breast cancer, which is fatal in 90% of cats and 50% of dogs. Female cats in heat can be very noisy and messy as they urinate much more often and aren’t too fussy about where they do it! With heat cycles lasting 4/5 days and occurring every 3 weeks during the breeding season, it can be a difficult time. Spayed female cats will not go into heat and so this problem will be eradicated. Un-neutered males also mark their territory by spraying urine and exhibit quite naughty behavior. Neutering them solves many early aggression problems, helps level their behavior and brings their focus and attention on to their human families. Neutering can also help prevent unwanted behaviors. If you have more than one pet, spaying or neutering them can improve their overall temperament. Leading to a much higher chance that they will all get along. It shows children that bringing unwanted pets into the world without loving homes is irresponsible and cruel. With raising a litter of animals costing anything upwards of $200 per puppy/kitten for food and veterinary services prior to going to a new home. Neutering or spaying is a significantly cheaper – and easier – option! Most animals can be neutered or spayed at 8 weeks to 6 months of age and it is almost always better to perform the procedure before they reach sexual maturity/come into their first heat. However, we will happily advise you should you have any questions or concerns.